Aaron was a promising software designer with an upcoming company. He shared a quaint house on the outskirts of town with his best friends; another young man and two girls. They’d known each other since school, and lived together peacefully for years with few problems. Travis the newcomer however had a dark way about him, and all of Aaron’s attempts to get along with him had failed. But just as the household began to settle down again, a strange device with a peculiar attitude entered their lives. Would it fulfill all of their dreams, or instead become a curse? Aaron, Jay, Kim, and Mara have been friends for a long time and are roommates. Of course each has their own perks and quirks but they all get along. But then there is Travis, he is Jay’s friend and has out lived his welcome and causes lots of drama. When things calm down they decide to explore the backyard with a metal detector and discover a strange time traveling device run by the AI Pris. 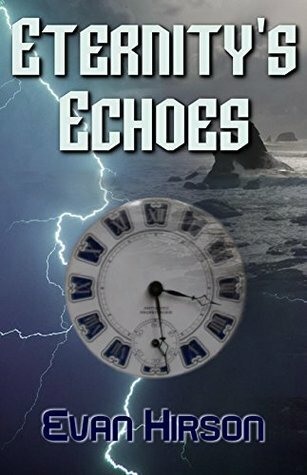 After they find the Shade, then the book picks up speed as we learn about time travel, paradoxes, what can and cannot be done, and the consequences of their actions. This is an interesting story but it has a few flaws that take away from it. I enjoyed the simple explanation of time travel but things seem to have gone sideways at a point. We also have five people that seem to have a wide variety of characteristics if they would have been developed. Please don’t think that I’m bashing this book. It’s a quick read and has a quite basic story. It’s a rough start to a series abut I am curious enough to want to see what happens in the next book.